Alright after about 5 months of working off an on with this project as time allowed, my first portable in a year is complete. A commission I took at the end of last year, I was finally able to get this guy done and will be shipping out the buyer next week. This is a very basic N64 as far as portables go, but it still did have it’s issues and took a bit longer to fix than anticipated. All in all I’m happy with this though the casing issues did irritate me to no end. But the custom audio amp (by RDC), the two seperate power circuits for wall power and battery power and the modular case style were all new techniques/items that I’ve never done before and with the next project I’ll be able to improve on the ideas and their usages. I didn’t do up a build log for this one but I might do up a couple of posts on the modular case building technique I used as I think that could be pretty helpful for other case makers and portablizers. So the next project is to finish off my OUYA portable that I’m about 3/4 of the way complete. That one should be fun once it’s complete. So until we meet again, enjoy the video! 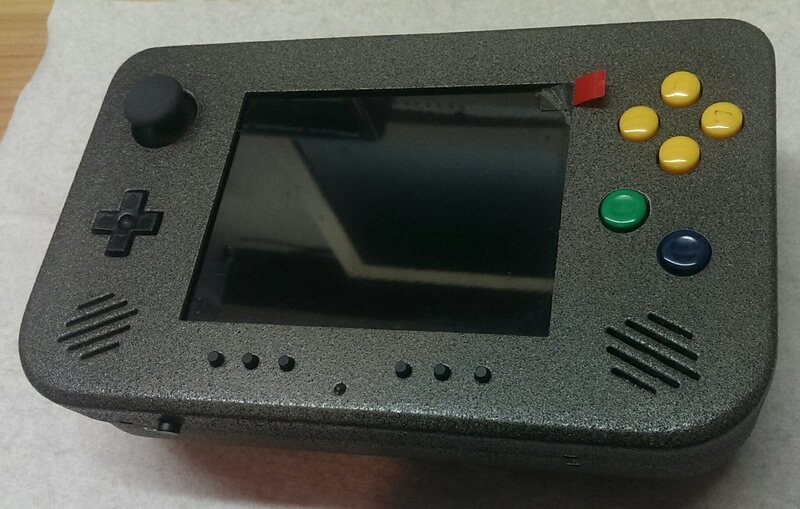 Another Portable N64 Commission Underway!